Digi-Schlock: THE BABADOOK (Scream Factory Blu-Ray) – Schlockmania! Though their main order of business is special editions of vintage genre fare, Scream Factory has also made inroads into modern horror by tackling recent films like The Battery and Beneath. They pulled off a real coup when they obtained the rights to one of the most acclaimed horror films in recent memory, The Babadook. The results do well by this excellent film, offering a slick presentation as well as a tidy little collection of extras. The transfer looks great: the carefully-crafted digital cinematography looks impressive here, capturing the film’s muted color palette with plenty of detail. Black levels are solid, which is important for a film that utilizes so many shadowy interiors. 5.1. and 2.0 DTS lossless sound mixes are offered for this transfer. The 5.1 track was used for this review and it makes effective use of the five speakers with a richly-layered soundscape full of directional effects. Scream Factory’s special edition also carries over several of the extras that appeared on the foreign release of this title. The bonus features begin with Monster, a 10-minute short film from director Jennifer Kent that is essentially a dry-run for The Babadook. 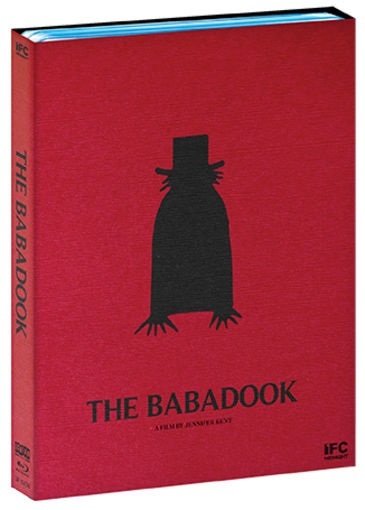 Though the narrative is simpler by necessity, fans will notice that it tries out the major plot concepts and themes of The Babadook in an effective, compact package. Next up is a trio of brief deleted scenes that add up to about three minutes. They’re all little dramatic bits that were obviously cut for pacing as they are all well acted and interesting, particularly a nice moment involving Barbara West as the mother/son duo’s neighbor. The disc also includes a variety of short-form behind-the-scenes video segments, ranging from a minute and a half to seven minutes in length. A quick interview with Alex Juhasz reveals how he got the job to create the book used in the film and the techniques he used to make it by hand. There’s also a tour of the convincing set for the house, which was built on an Australian soundstage. “Jumping The Stairs” shows how Davis performed a subtle, crew-assisted stunt, “Stabbing Scene” shows how a leg of lamb was used to create a stab effect and “Behind The Scenes” offers glimpses of Kent directing a few scenes in the film. The latter is interesting, showing her as relaxed enough to make jokes but totally in control of her work. The biggest of the extras is “Cast And Crew Interviews,” which offers 62 minutes of interviews with Kent, her cast and her crew. Everyone gets to speak at length about their thoughts on the storyline and the people they worked with. Highlights include star Essie Davis speaking fondly of her working relationship with Kent and Noah Wiseman, Kent revealing how and why she made the transition from acting to filmmaking and the producers talk about the challenges of putting together a polished production on a small budget. The disc is rounded out by the film’s theatrical trailer. If you purchase the special edition version, it offers one final nice touch with an artfully designed slipcase. Said slipcase has a front flap that opens like a book, revealing a pop-up recreation of a few pages from the book in the film. All in all, Scream Factory has created a fine presentation of an acclaimed modern horror film with this disc of The Babadook. If you’re into new genre films, this is a must. 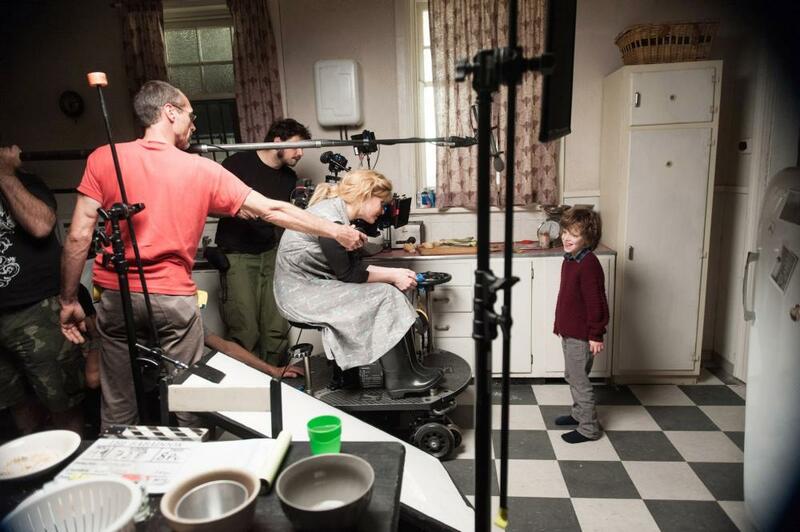 To read Schlockmania’s film review of The Babadook, click here.